Former Chelsea defender John Terry has announced his retirement from football after a long and successful career at the highest level. The 37-year-old has confirmed he’ll be hanging up his boots and awaiting new challenges, which could mean a quick move into coaching as the Guardian and others link him with a role at Aston Villa. For now, however, Terry has released an emotional statement on his Instagram page reflecting on his career and sending a particularly strong message of thanks to Chelsea, with whom he spent the bulk of his playing days. The former England international also made special mention of his most recent club Aston Villa, and even name-checked Nottingham Forest, with whom he played six games on loan all the way back in the 1999/00 season. The statement read: “As a 14-year-old, I made my best and biggest decision: to sign for Chelsea Football Club. Words will never be enough to show how much everyone at the club means to me, in particular the fans. Terry’s career has not been without its ups and downs, but he will undoubtedly go down as one of the finest players to ever play in this country after leading Chelsea to so much success. 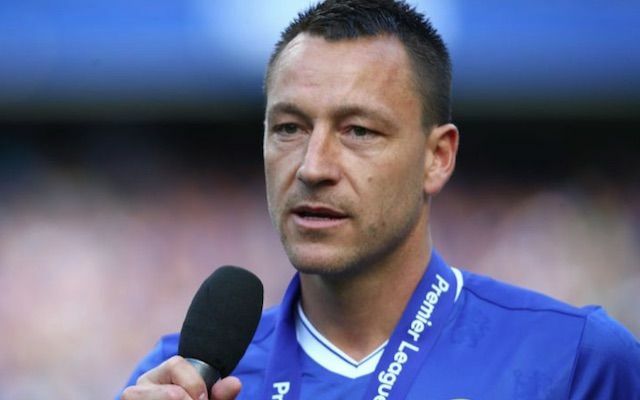 A commanding and intelligent centre-back in his prime, Terry won five Premier League titles, five FA Cups, three League Cups, the Champions League and the Europa League, with most of those coming as Blues captain.